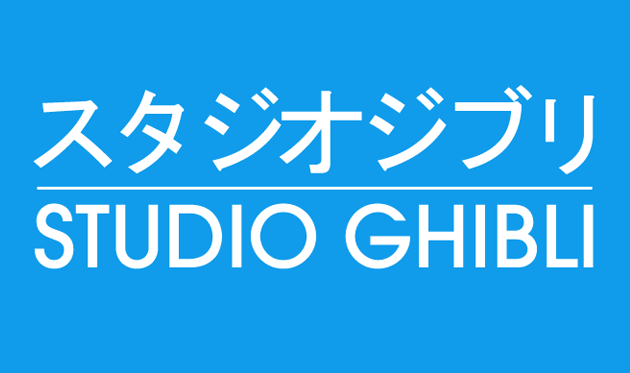 You can now purchase popular Studio Ghibli Toys directly from Amazon Japan to be shipped to your country. 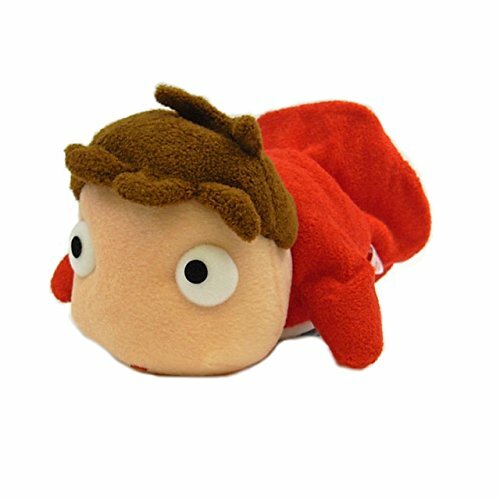 Currently, they ship to the USA and over 65 other countries. 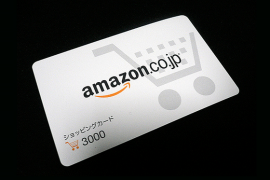 All you need to do is register for a free Amazon Japan account. You can not use Amazon USA or an account from other countries as they won’t work. 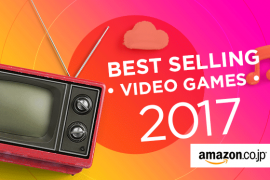 You can browse toys by types and we will take a look at the top 3 popular toys from each section. 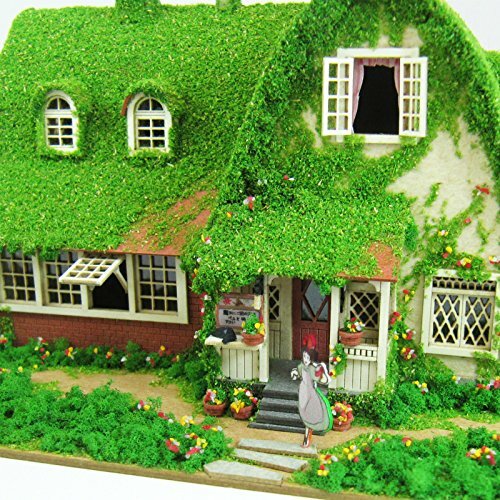 Recreate the Okino House from the movie Kiki’s Delivery Service. About the size of a hand, you don’t need an experience to create one. No need to paint and just follow the connected lines to cut and assemble. Tools you need are ruler, tweezers, exacto knife, cutter mat and glue. 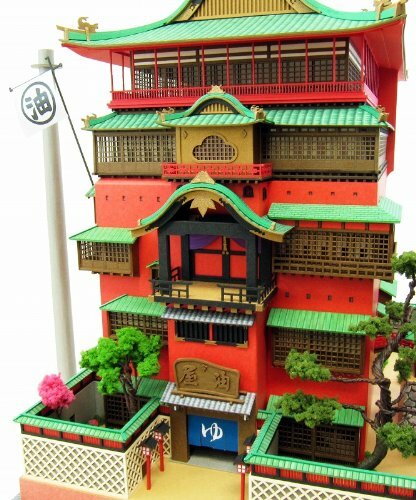 This is a 1/150 Scale miniature bathhouse paper kit from the movie Spirited Away by Ghibli Studio. Not an easy kit but the final result is stunning. 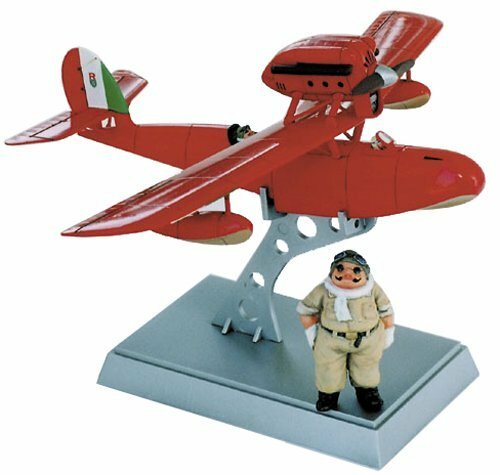 This is the original model supervised by Hayao Mizayaki that appeared in the movie Porco Rosso. 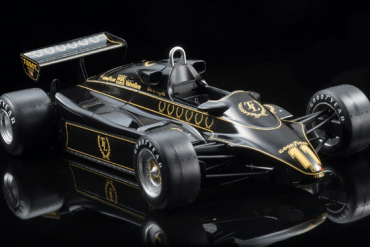 To build this model kit, you need to assemble and paint. Put Characters on top of each other. 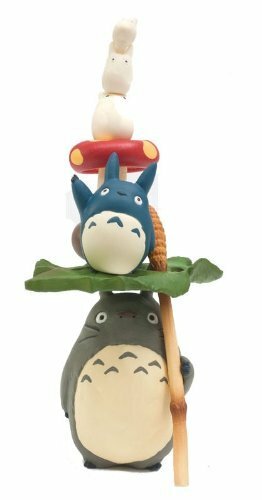 This game is ideal for gifts for someone you know that loves My Neighborhood Totoro. Place characters on top of each other without them collapsing. Recommended for both adults and kids. 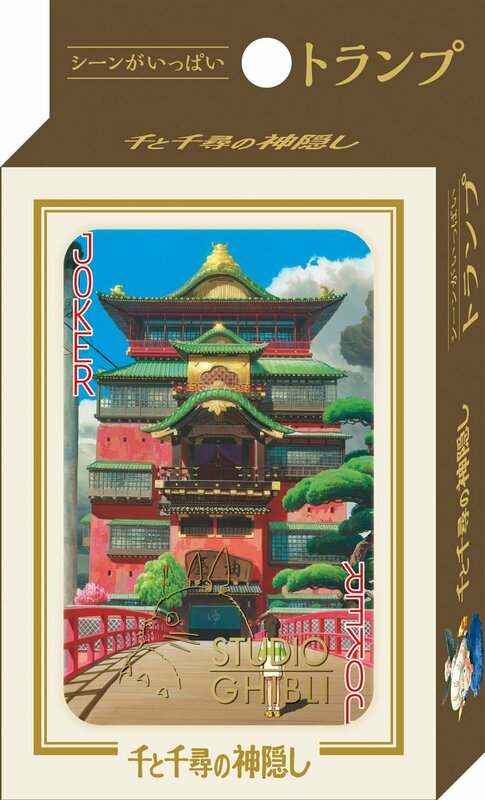 Spirited Away Playing Card Game by Ensky Co.
Trump playing cards with scenes from the movie Spirited Away. Castle in the Sky Balance Game by Ensky Co.
Another balance game by Ensky Co. from the movie Castle in the Sky. 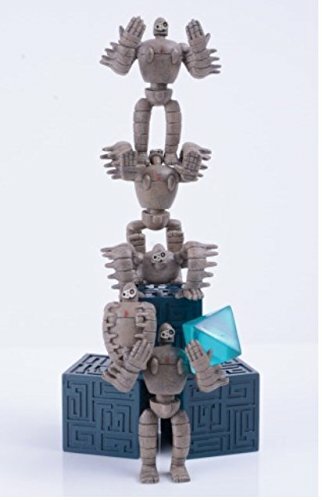 Try to balance by placing the robots on top of each other without them falling. When complete, the size of the jigsaw puzzle is 20″ x 30″. Available for limited time only. With only 150 pieces, this puzzle will not take you days to complete. Perfect for beginner level. Stunning landscape puzzle by Oga Kazuo, the background artist for Ghibli. 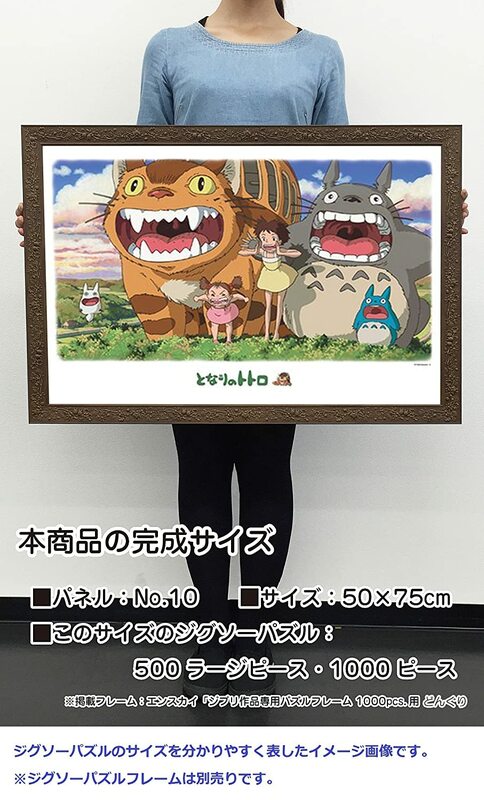 Size is 34cm x 102cm. About 7cm, all you have to do is pull and it vibrates. 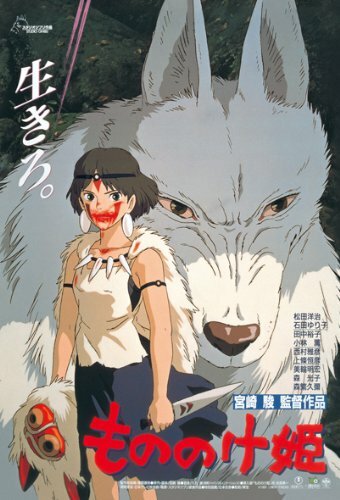 From the anime by Hayao Miyazaki. Feeling lonely? 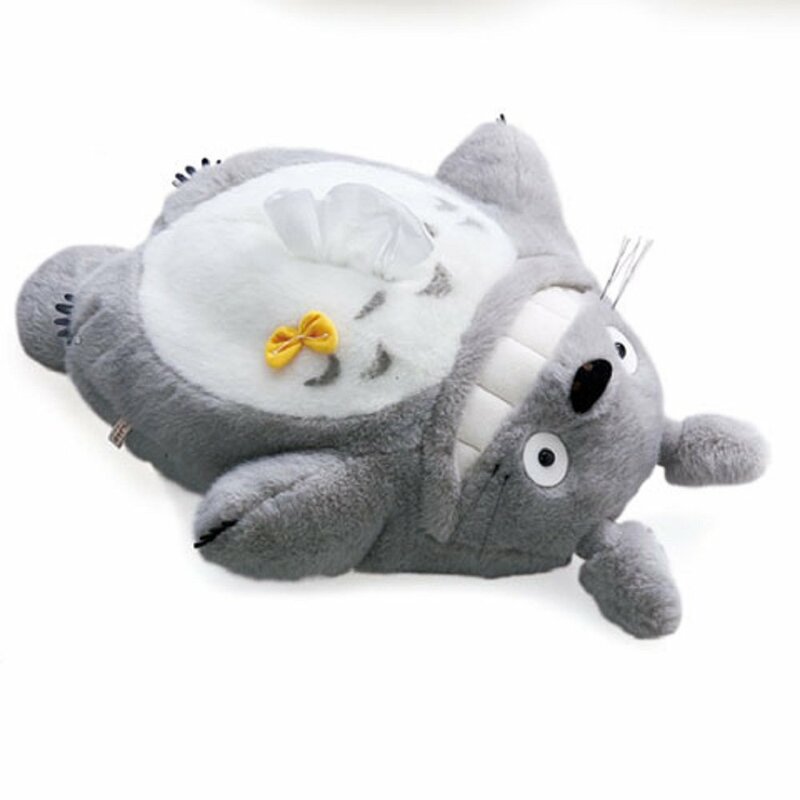 Grab a tissue from Totoro’s stomach to hear the laugh. 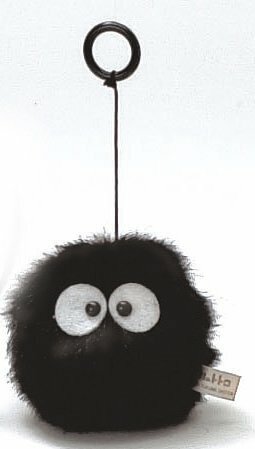 Hand puppet doll for school plays or even a golf club cover? Yeah, why not?